Gary Muzzey and Brian Garrison both joined our company earlier this year as members of the Bachmann Sales & Marketing team; Gary as an Aftermarket Applications Engineer and Brian as the Company’s North American Business Development Leader. They each bring an immense amount of energy and talent to our Company. Gary comes to us with a B.S. in Engineering Physics and an M.B.A. Having over 20 years of experience working in various engineering, sales, and product manager roles, primarily at a New England based industrial heater company, Gary is a great fit for his new role at Bachmann Industries Inc. Growing up in New Hampshire where his family owned and operated Muzzey’s Sales and Service, a well-known RV & Camper dealership, for over 25 years, Gary was well acquainted with the family business life-style. 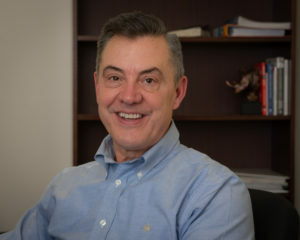 He lived in New Hampshire until relocating to Maine in 2014, where he and his wife, Lynn, are now the proud parents of a precocious cat named Fred. In his spare time, Gary enjoys fishing, golf, traveling and reading. 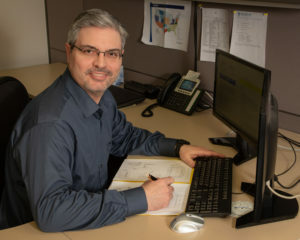 When asked what he enjoys most about his new role at Bachmann, Gary explains it is the balance between engineering and sales where he can best utilize his skill-set to creatively help customers solve their problems. Brian’s connection to Maine began over 100 years ago when his great grandparents met in Maine before moving to Indiana where they raised their family. Growing up in Indiana, then attending college and spending his young adulthood in Arizona, Brian’s story comes full circle back to the State of Maine where he met his wife of 19 years and eventually relocated – at his wife’s urging – just 5 years ago. Married with 4 children and 3 grandchildren, Brian and his wife enjoy spending time each summer on Campobello Island. He also has a lifelong interest in music, was part of a high school rock band, and still enjoys writing music, singing and playing guitar.